One book, seventeen chapters, seventeen different authors. If your first thought is that this can never work, you would be forgiven, but in actually it does work and in the case of this new young adult novel, it works very well indeed. 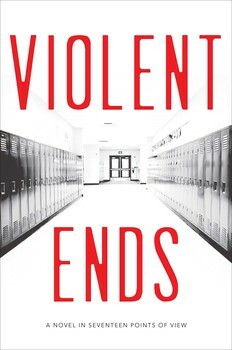 Violent Ends was conceived by Shaun David Hutchinson and once he realized he needed multiple voices to execute his vision, he enlisted the help of a who’s who of talented young adult authors to work on the novel with him. The central “story” revolves around Kirby Matheson, who one day walks into the halls of his high school and proceeds to shoot his classmates. This is a timely subject matter and everyone has seen the news accounts of similar tragedies. But they don’t tell the whole story. Really, Hutchinson’s point is that it is really impossible to ever tell the entire story. In addition to the perpetrator’s life, there are countless stories which intersect with that precise moment; not to mention the stories of what lead to the incident and the stories of the aftermath. In showing readers just how many stories there are, this group of writers reinforces the idea that events such as this shooting (and really all events) have a butterfly effect on a massive amount of other lives. As such, each chapter in Violent Ends tells the story of a different character who affected Kirby or was effected by Kirby or by his actions on that fateful day. In that sense, each chapter is essentially a stand-alone short story; but when they are taken together as a whole they present a snapshot of a community in crisis. Since many of these stories revolve around Kirby’s high school classmates it allows each author to explore topics that are of interest to them as writers. Readers get the sense that this fictional high school is realistic and that similar problems and situations are actually happening all across the country. There are stories involving bullying, sexual abuse, eating disorders, gun ownership, transgender issues, and much more. Every human has a story and often times we can never know exactly what someone else is going through. When a crisis such as a school shooting happens, many of those other stories are lost in the sensationalism and those individuals feel neglected – unseen or unheard by the masses. 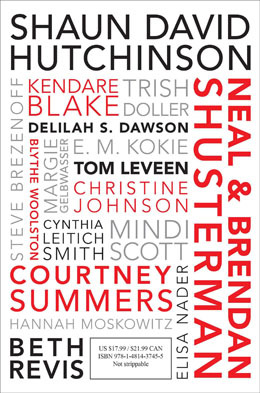 Seventeen stories by the same author would be complex enough, but these seventeen authors came together to create a masterpiece of “group writing.” Readers will be shocked at how well the stories are integrated together. There are minor references to something happening in the background of one story that later becomes the central focus of another author’s story. Or one character will make reference to something that occurred in a different narrative. This had to be a massive undertaking, but the payoff is more than worth it. The voice of each story rings true for the character central to it. 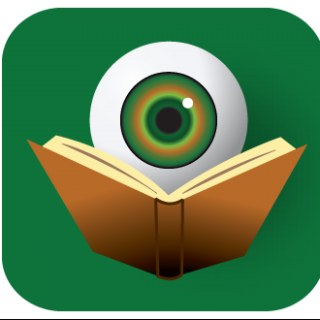 Of course, some chapters are more successful than others, but this will depend on the reader’s personal taste. For example, in the chapter titled “Grooming Habits” (by Elisa Nader), there is a nice twist that some readers will be surprised by, while others will easily anticipate it. For the record, it works well either way. “Presumed Destroyed” by Neal and Brendan Shusterman is probably the most unique story in the collection as it tells the story from the viewpoint of the gun Kirby used to commit his crime. This is a good place to say that the aim of Violent Ends is not to explain or justify Kirby’s actions. It is simply an exercise to demonstrate that there is always more to every story and we as humans should always remember that. No one can walk in another’s shoes and personal decisions have larger consequences. Teen readers in particular will benefit from hearing this idea reinforced in such a creative way, but Violet Ends is a book not just for teens, but for everybody.